If you have small kids then your tree is probably decorated with various handmade ornaments that they had such pride in creating and presenting to you. 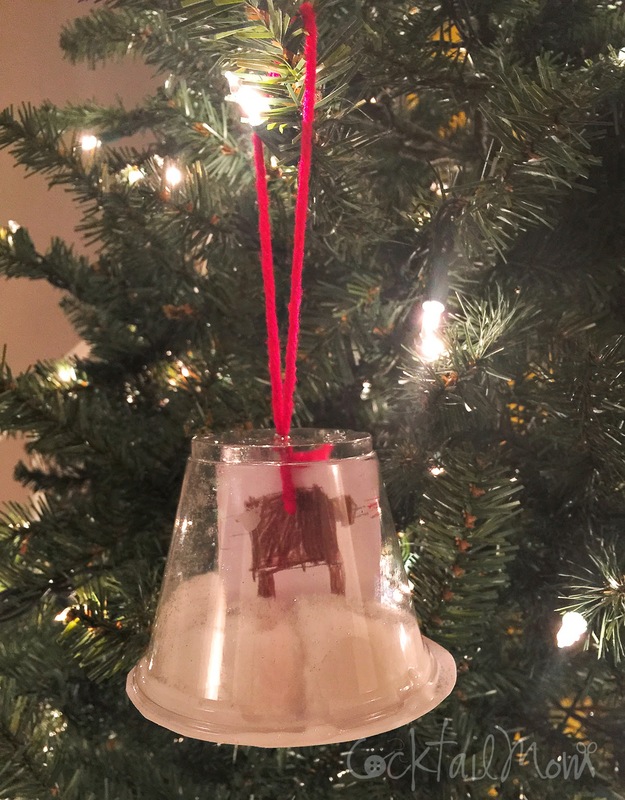 Well I have one more to add to your tree….snow globes! Using card stock make a circle slightly bigger than the clear plastic cup, cut out. Then cut a 2 inch x 3 inch piece of card stock for the center of the snow globe. Have your child draw a picture on the rectangle shape and fold down ½ inch from the bottom and glue to the center of the circle. 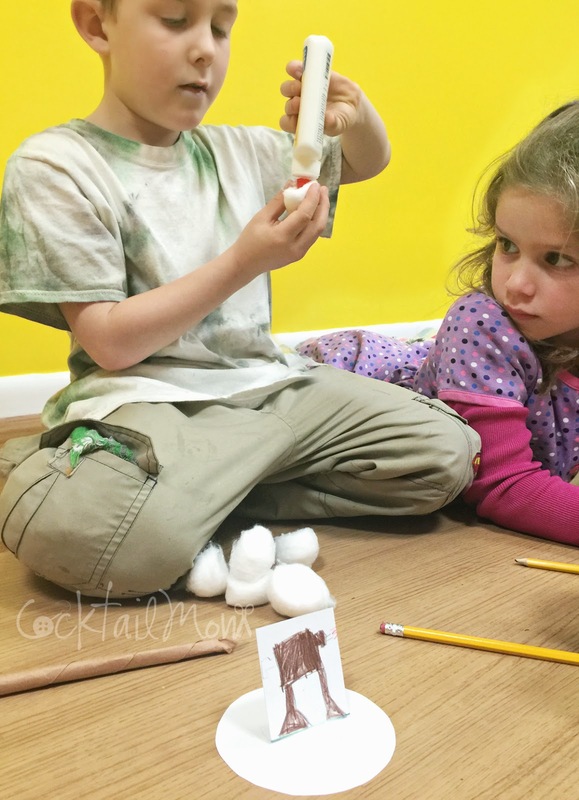 Then let your child glue down all the cotton balls that they can get to fit on the circle. Punch a hole in the bottom of the plastic cup and thread some yarn through it. Sprinkle some glitter in the bottom of the cup and then put glue around the rim of the plastic cup and secure to the circle.